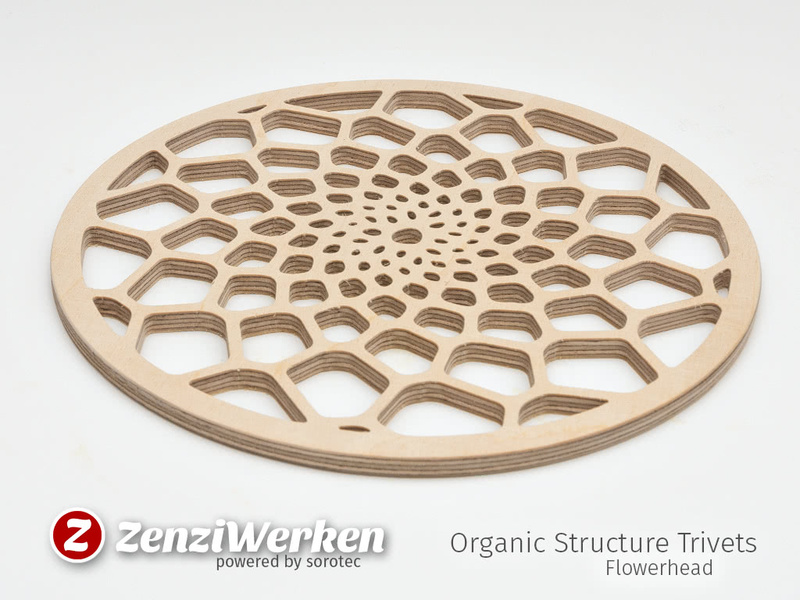 Because of its technical nature a desktop-cnc-machine is an adequate tool for creating trivets with filigree cut-outs or carvings. 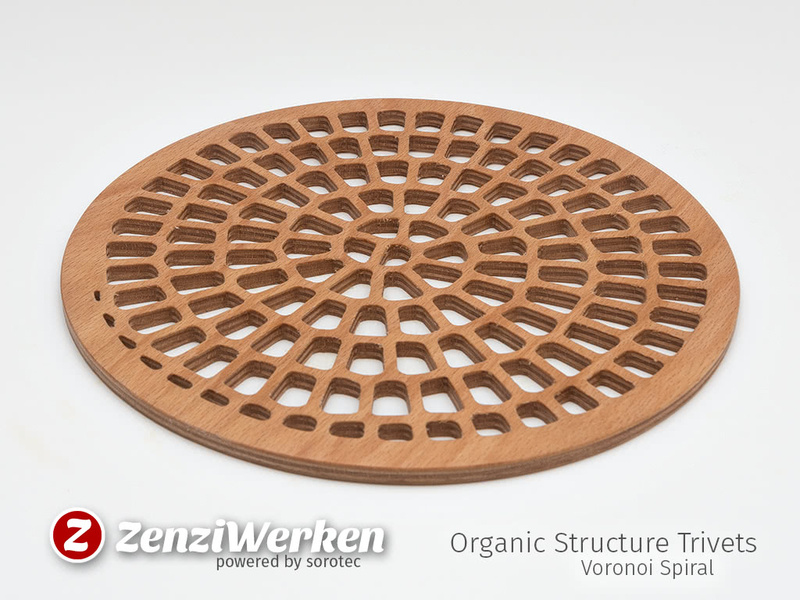 You can't make this kind of workpieces on any other tool that simple and fast. 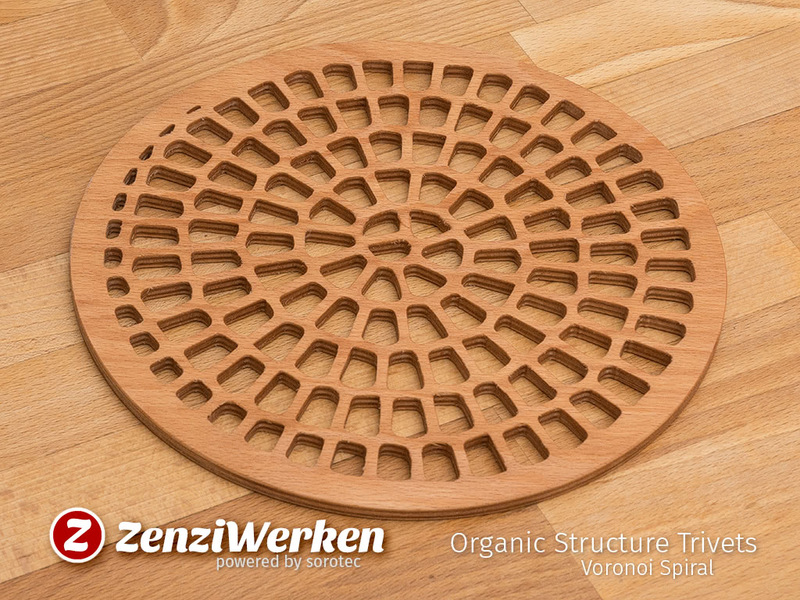 If you veneer or stain the surface you get wonderful variety on the same designs. 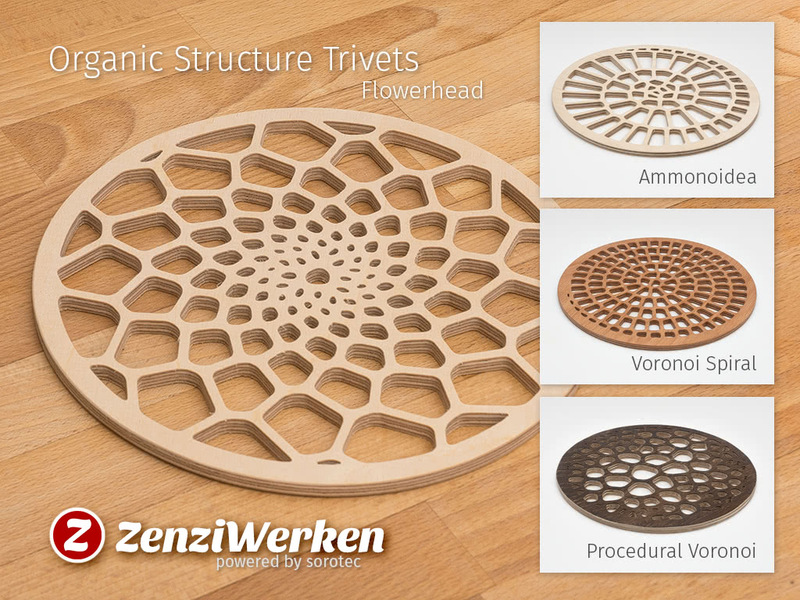 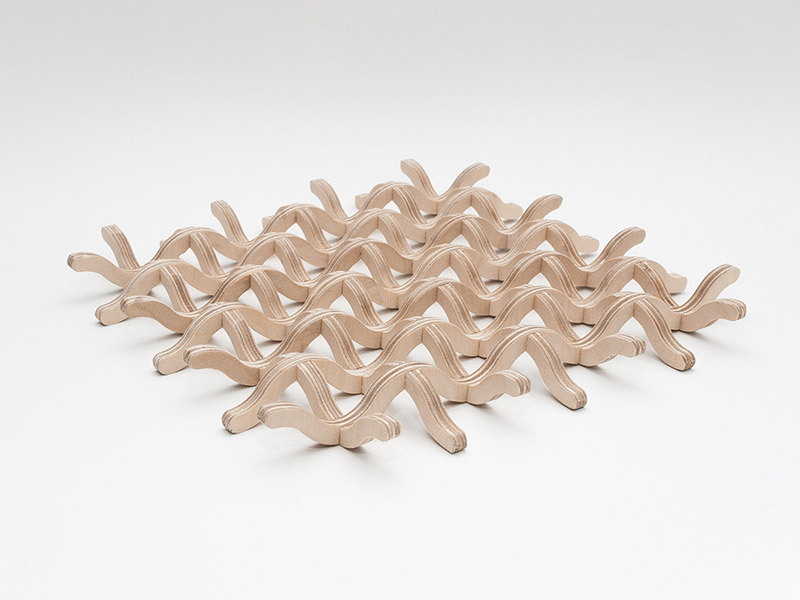 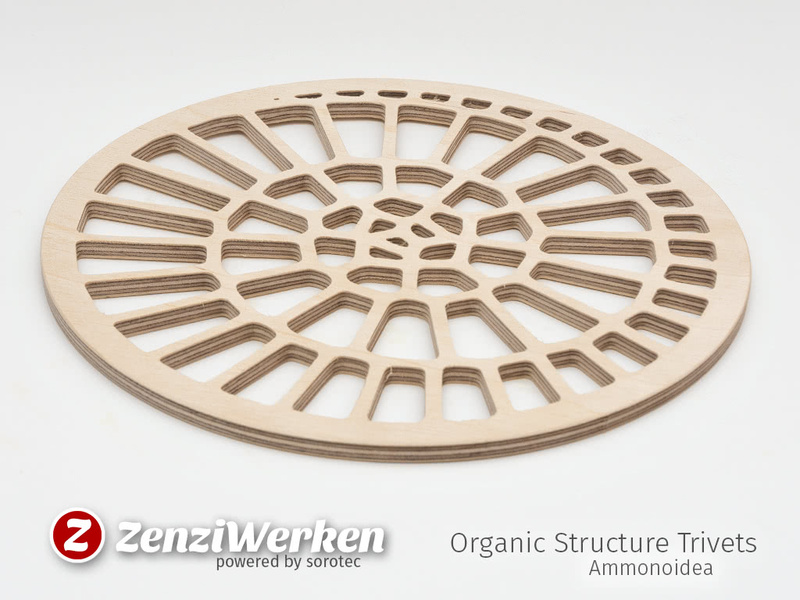 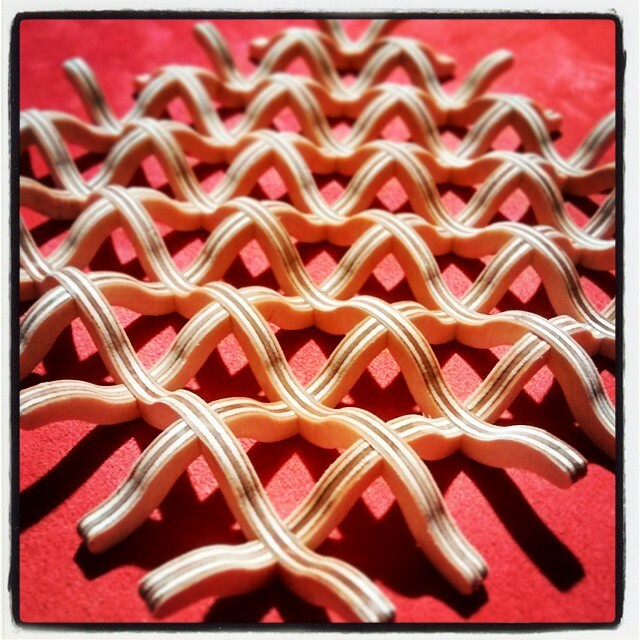 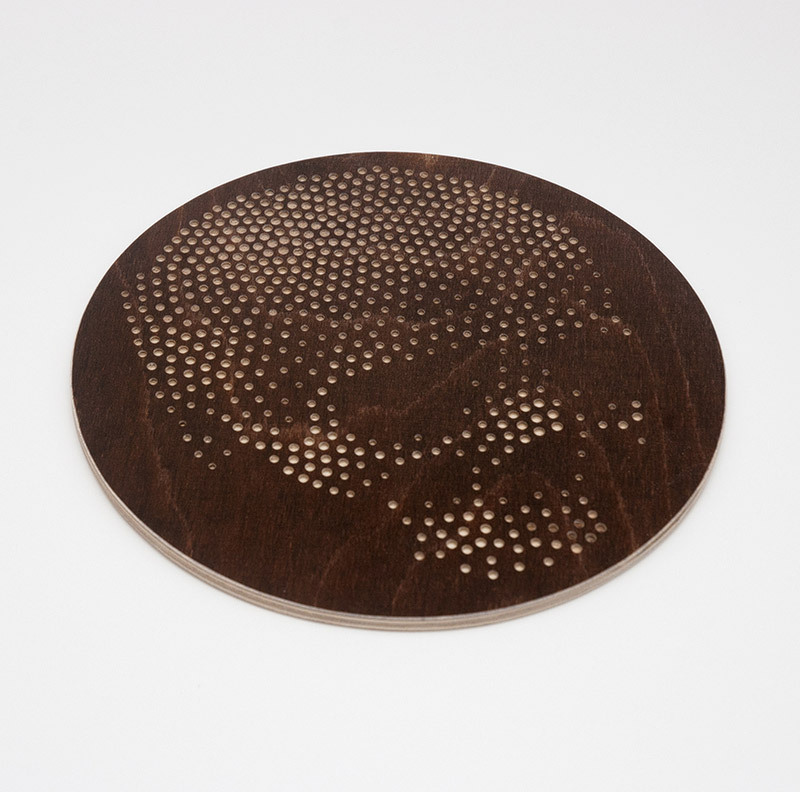  Download Organic structure trivets at Thingiverse buy me a coffee commercial license? 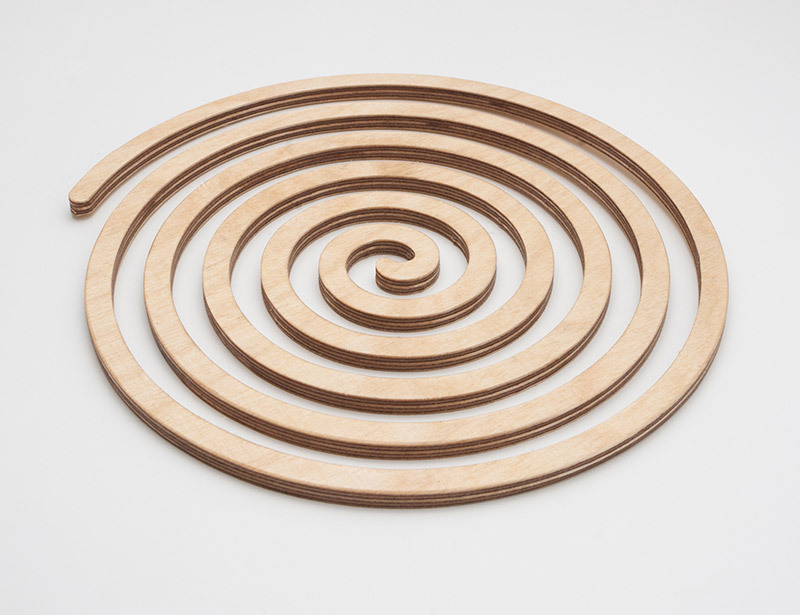 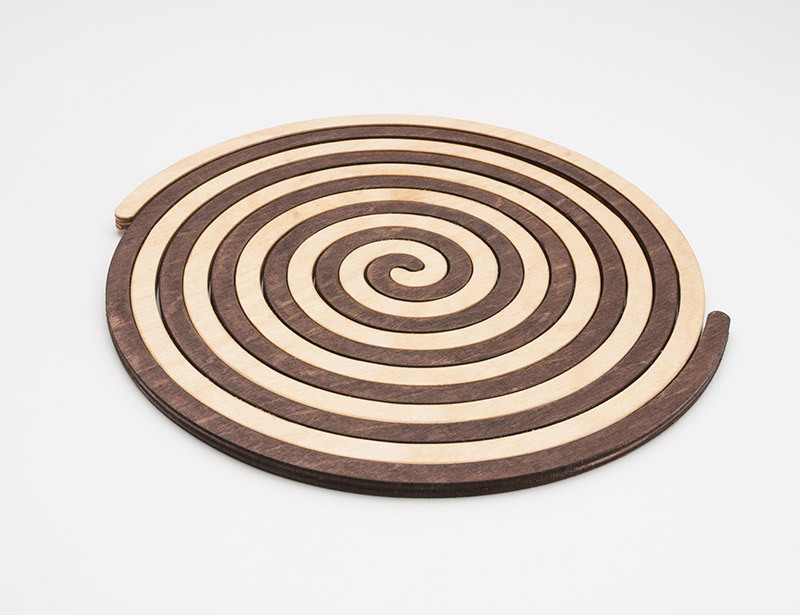 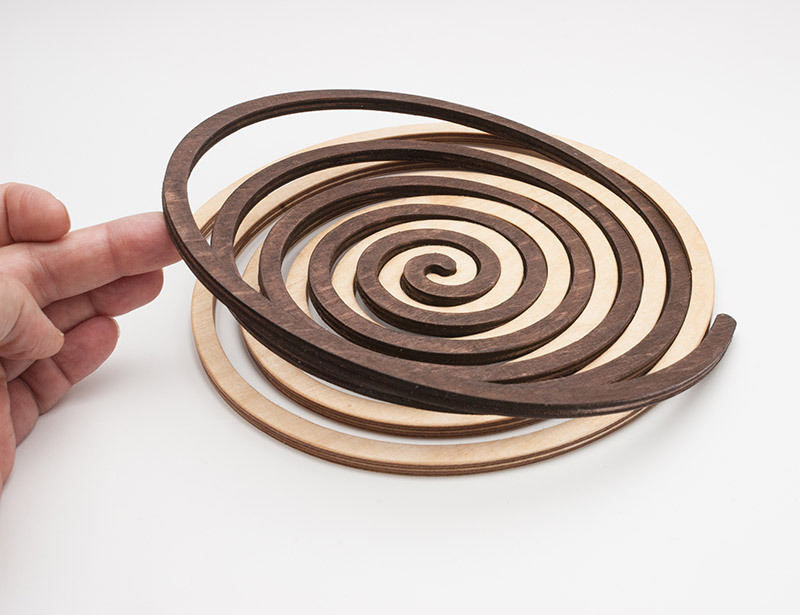  Download Archimedes spiral trivet at Thingiverse buy me a coffee commercial license? 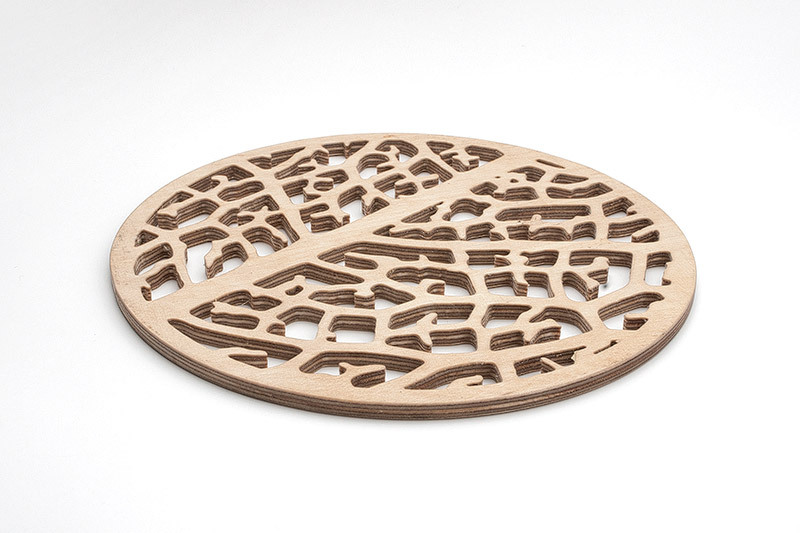  Download fine Leaf Structure Trivet buy me a coffee commercial license? 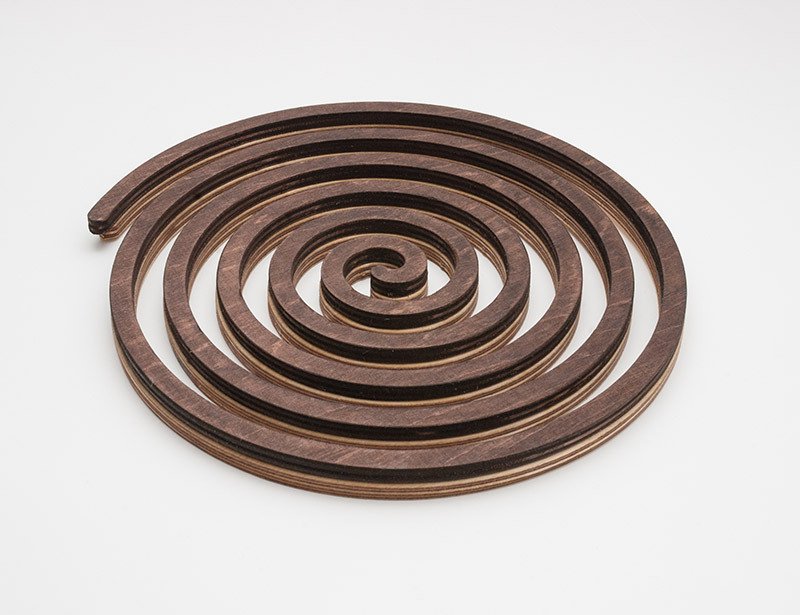  Download trivet 'hearts' buy me a coffee commercial license? 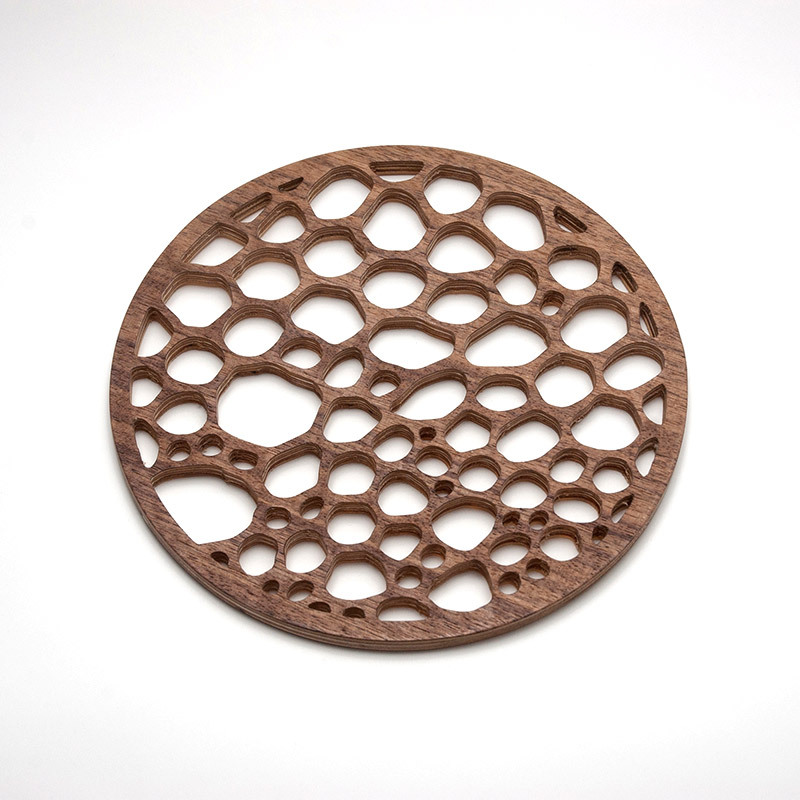  Download Cell Structure Trivet at Thingiverse buy me a coffee commercial license? 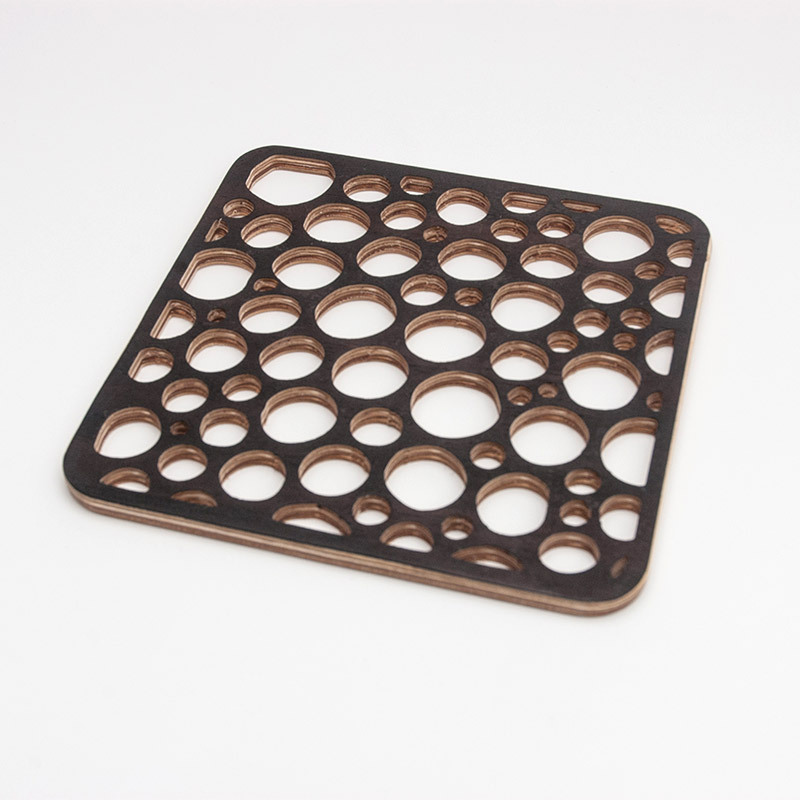  Download Foam Structure Trivet at Thingiverse built by CNCnutz buy me a coffee commercial license? 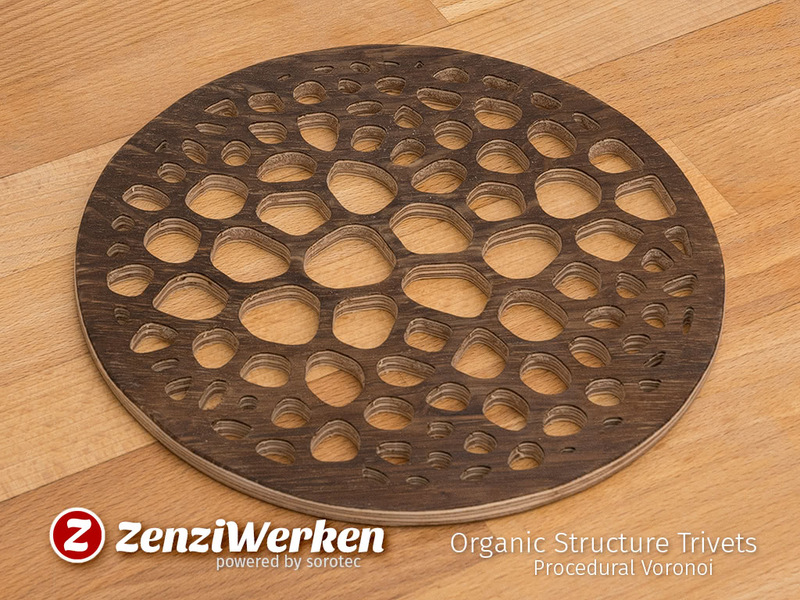 This somehow spooky design was made with StippleGen. 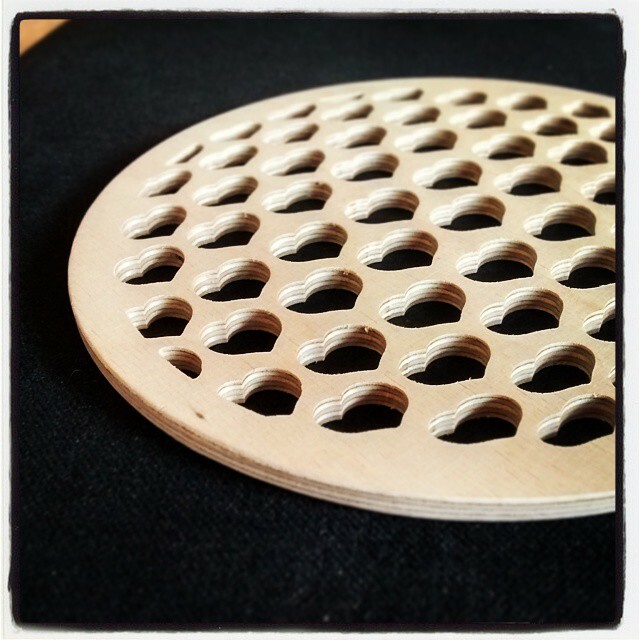 I did not use a V-bit, but a very fine down-cutting bit. 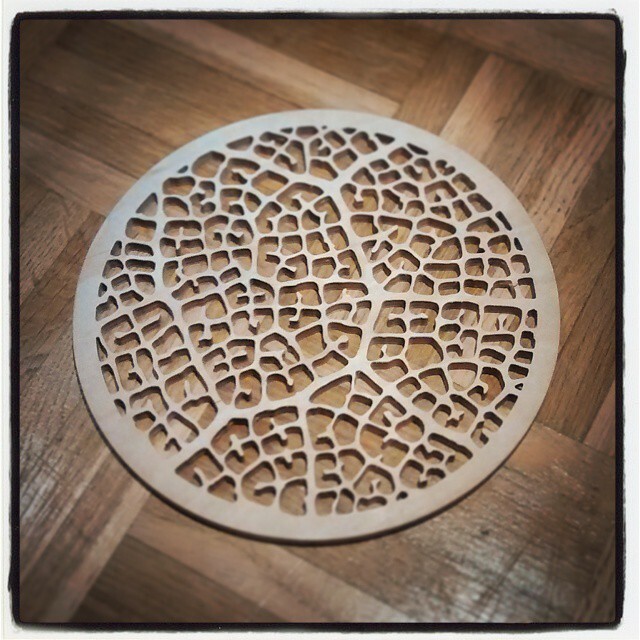 I did stain and oil the surface for a better contrast before carving it. 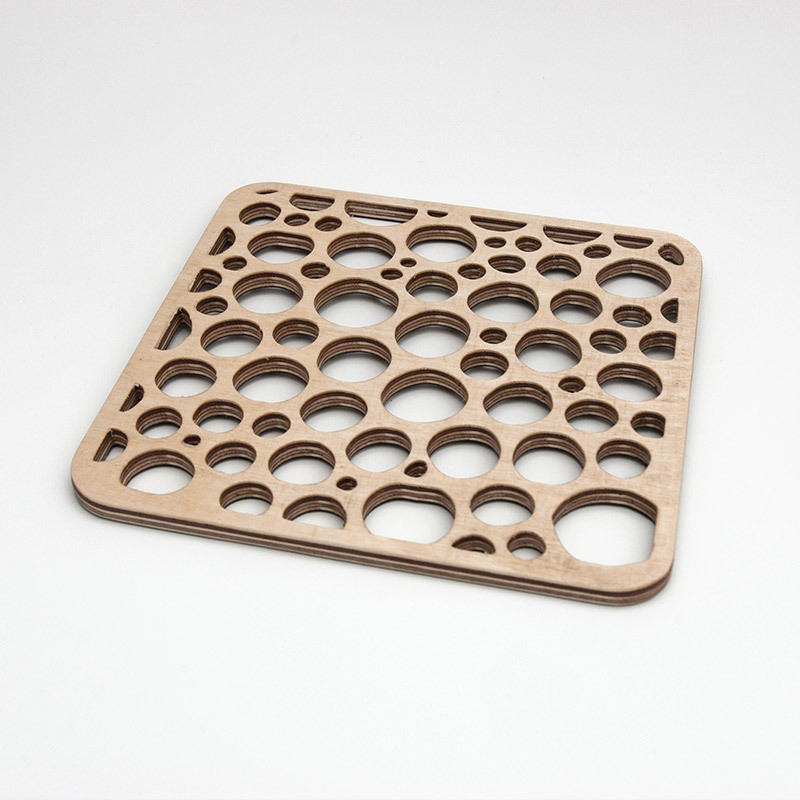 Download trivet 'skull' buy me a coffee commercial license? 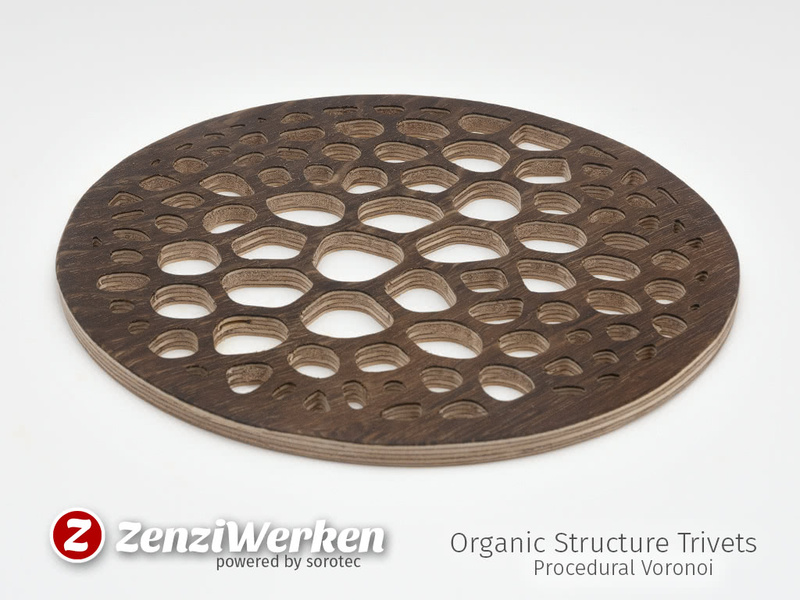 It takes considerably more effort to create a real 3d transformation. 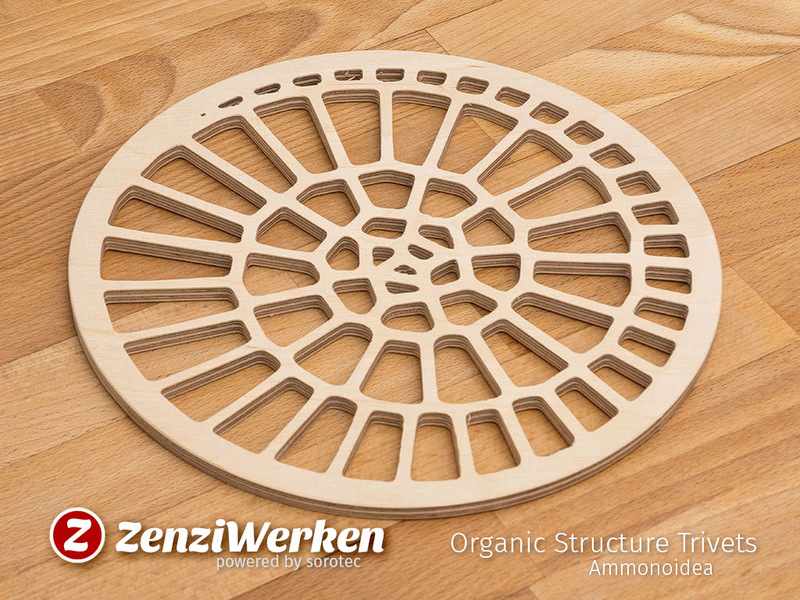 Besides the higher usage of material, this slot-in geometry has to be glued. 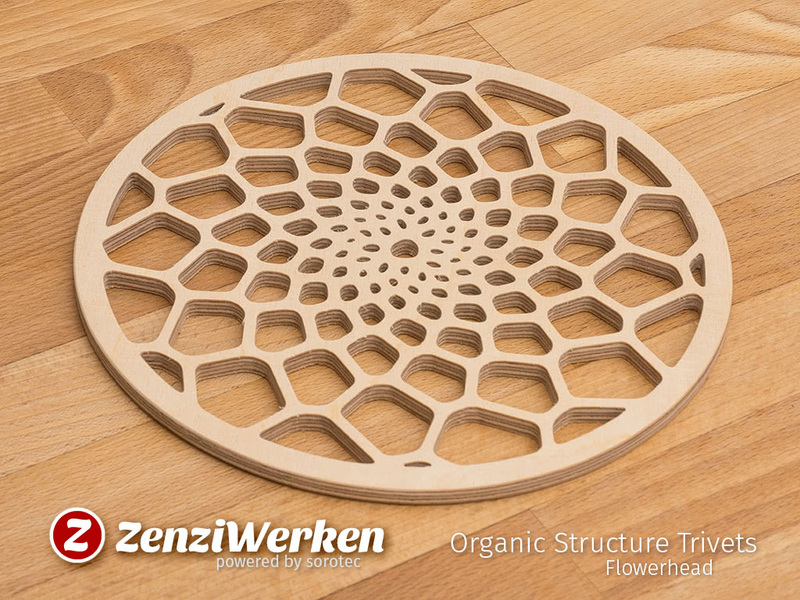 The rigidity is pretty impressive – even on a 6.5 mm Baltic birch plywood: no problem on carrying a large pot. 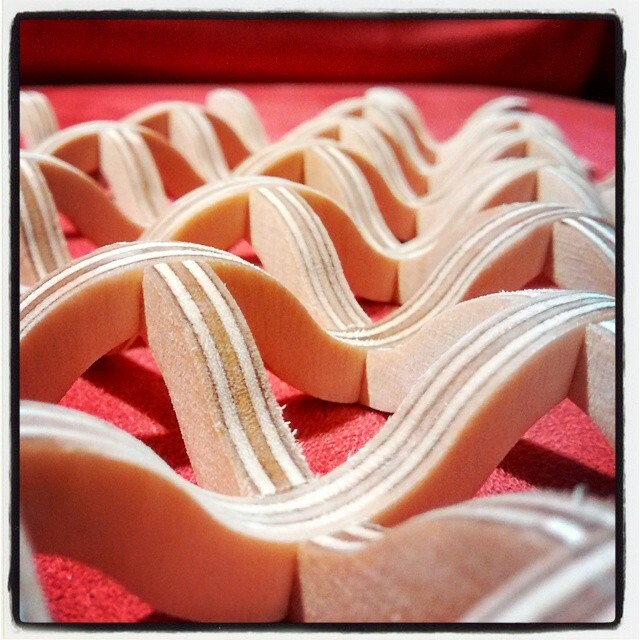  at Thingiverse buy me a coffee commercial license?